COMPANY: founded in May 2002, Archeodomani company is based in Rome and actively operates all around the territory in the development of the cultural heritage. 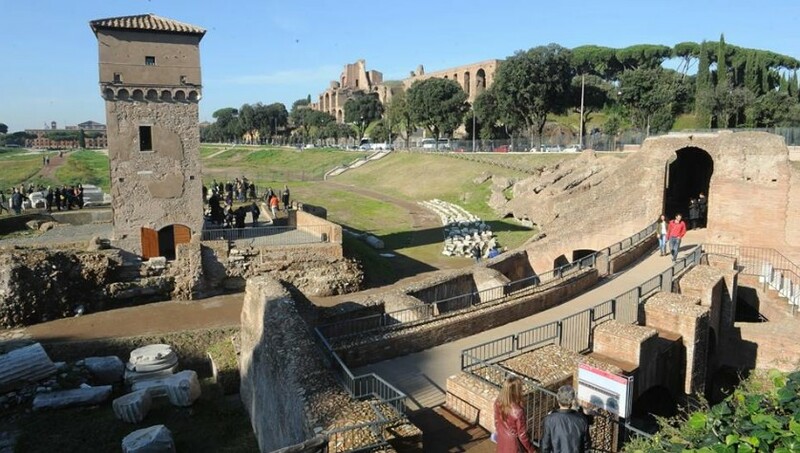 From 2004, on behalf of Cremonini Group, it is in charge of enhancing and protecting the archaeological area of Vicus Caprarius “The City of Water”. From 2007 it is also in charge of the Summer Archaeological Researches of Casentino, in Poppi (Vignano area) and Bibbiena (Domo/Castellare area), with the scientific guidance of the Superintendence for Archaeological Heritage of Toscany. During the year, by appointments and events, it promotes and carries out activities of cultural enhancement (guided tours, study sessions, lessons and insights) throughout the national territory. GOAL: Our goal is the enhancement and promotion of the cultural heritage both national and international. Along with archaeological, environmental, historical and artistic research activities, it also supports promotion and development with the aim of creating sustainable economic systems around the “cultural resource” (for public administrations, local authorities, privates). PRESIDENT: Lorenzo dell’Aquila. Graduated with honours in Roman History with a specialization in Economics and Enhancement of Cultural Institutions at Univerisity Roma Tre in Rome. He operates with management of cultural heritage throughout the national territory, with particular attention to the enhancement and development of cultural tourism. He is president of Archeodomani from 2002. In 2009 he received from the Province of Rome the Youth Knighthood for the Culture sector and in 2010 was selected by the Ministry of Youth among the 100 talents of the TNT festival.